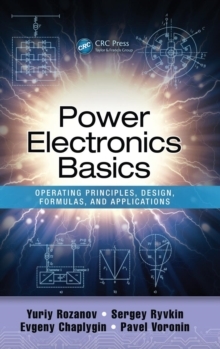 This volume presents the theory of control systems with sliding mode applied to electrical motors and power converters. It demonstrates the methodology of control design and the original algorithms of control and observation. Practically all semiconductor devices are used in power converters, that feed electrical motors, as power switches. A switching mode offers myriad attractive, inherent properties from a control viewpoint, especially a sliding mode. Sliding mode control supplies high dynamics to systems, invariability of systems to changes of their parameters and of exterior loads in combination with simplicity of design. Unlike linear control, switching sliding mode control does not replace the control system, but uses the natural properties of the control plant system effectively to ensure high control quality. This is the first text that thoroughly describes the application of the highly theoretical control design approach to synchronous drives in practice. 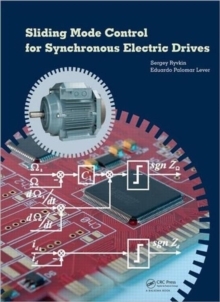 It examines in detail the different features of various types of synchronous motors and converters with regard to sliding mode control design. It further presents a detailed analysis of control issues and mechanical coordinate observation design for various types of synchronous motors, of power converters, and various drive control structures. It also discusses the digital implementation of control, observation and identification algorithms. The potential of sliding mode control and observation are moreover demonstrated in numerical and experimental results from real control plants. This work is intended for professionals and advanced students who work in the field of electric drive control. It is also recommended to experts in control theory application, who work with sliding modes for the control of electrical motors and power converters.